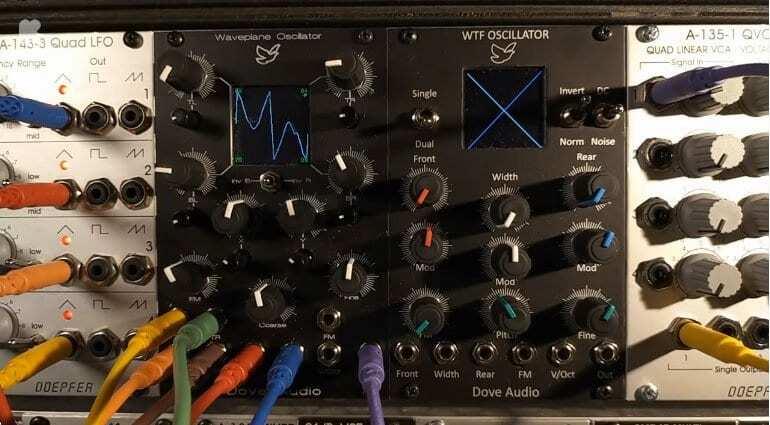 Following on from the success of the WTF oscillator Dove Audio is now on Kickstarter with their latest module. 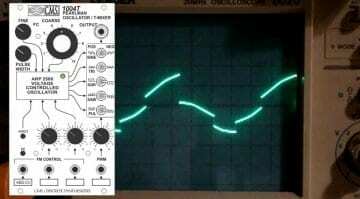 The Waveplane Oscillator mixes four wavetables from for corners of an XY display in true vector synthesis style. It’s a simple concept that’s able to generate complex harmonic-laden wave-shapes. You have a square in a single XY plane. Each corner holds its own waveform and you move a position around the plane to change the mix of waveforms. If you place yourself right in a corner then you only hear that corners waveform. Through the use of CV modulation you can animate the position and morph through an ever-changing mix of waveforms. Simple and effective complex modulated waveforms. But that’s not all. 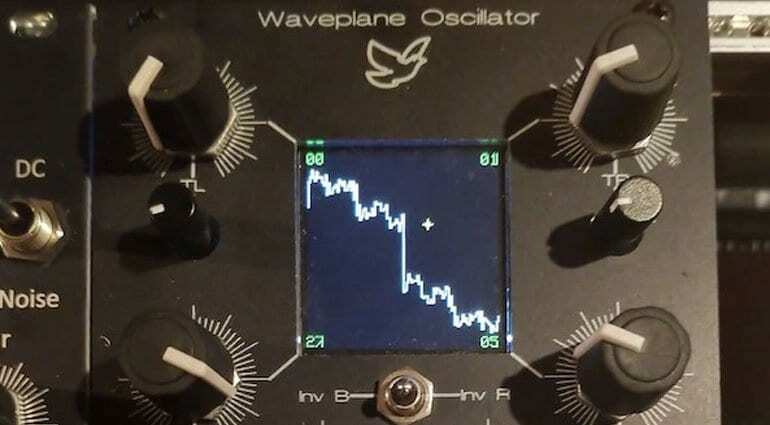 The Waveplane Oscillator also lets you control and select the corner waveforms by CV. Each corner has its own collection of 32 waveforms arranged in wavetables. So as the position is morphing so to can the waveforms themselves. This is going to throw up some seriously rich sonic textures. There’s also an FM input and the ability to invert waveforms on the right or bottom of the waveplane. 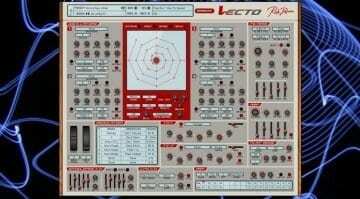 The one vector synthesis feature missing really is the ability to tune the 4 waveforms individually. All in all, you get a fabulously dynamic and sonically versatile wavetable oscillator with a great display and control. 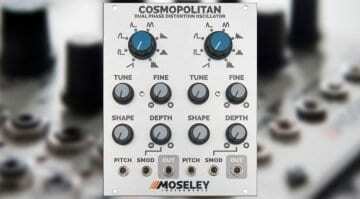 It will be available as a Eurorack module and they are also releasing a version in MU format. 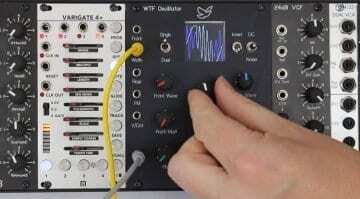 The Eurorack version costs £375, the MU version £475 and they hope to deliver in August. For production to start they are looking to raise £19,000 and are almost halfway there after the first day – so it’s looking good! 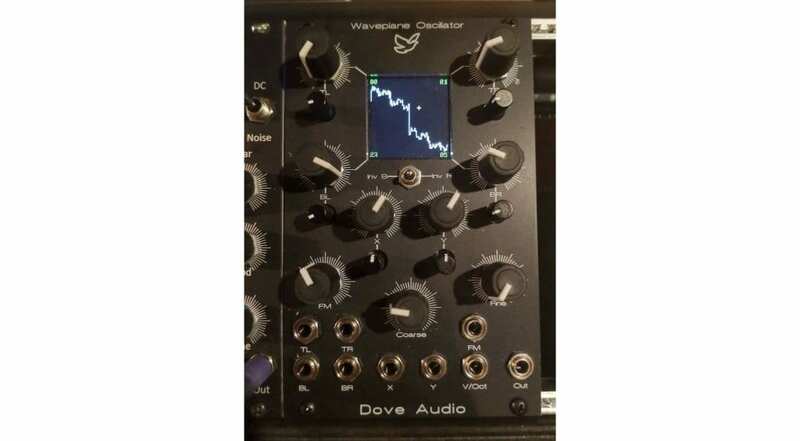 Dove Audio Waveplane Oscillator Kickstarter Page.